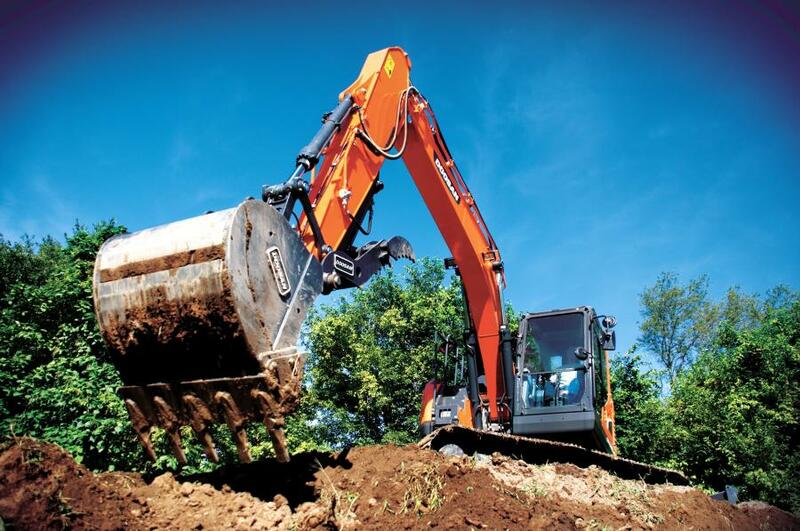 Doosan DX140LCR-5 excavators are designed for long life with an extra-sturdy frame and reinforced superstructure. 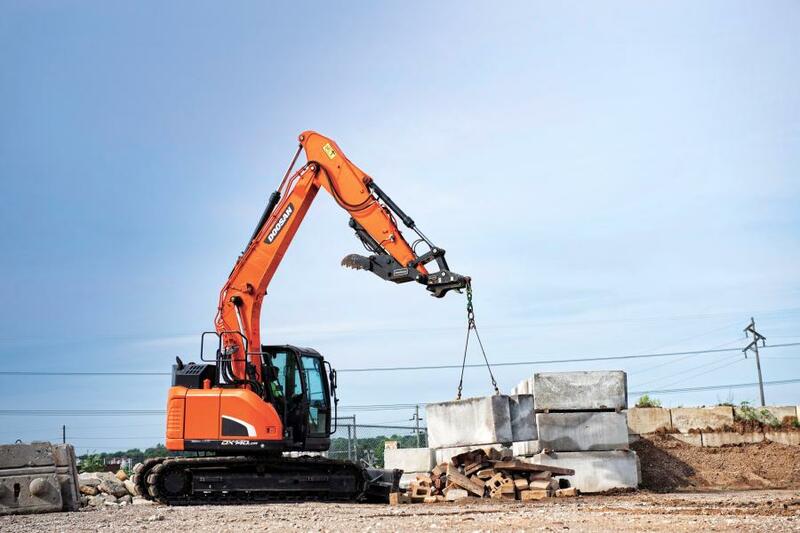 Doosan Construction Equipment will display a DX140LCR-5 reduced-tail-swing crawler excavator in its booth – C5887 – in the Central Hall at the Las Vegas Convention Center during the annual World of Concrete in Las Vegas, Jan. 23 – 26, 2018. 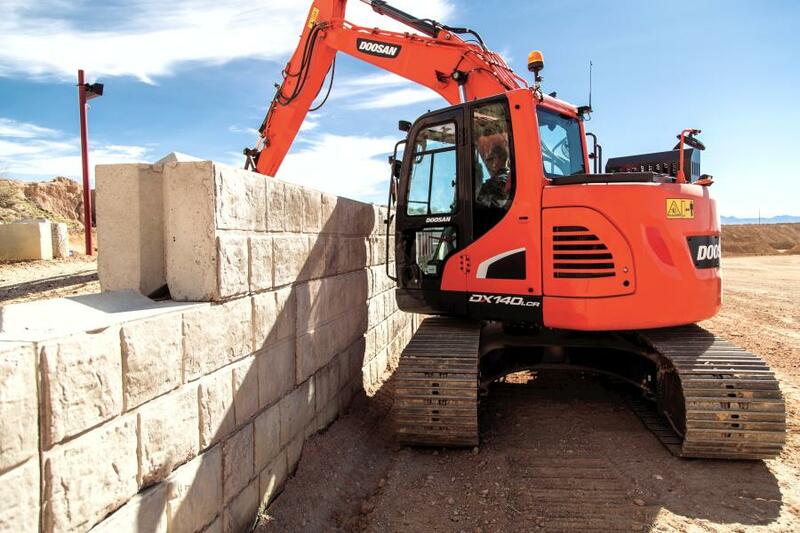 The machine will be configured with a quick coupler and hydraulic breaker, as well as optional rubber track pads, which minimize damage to concrete surfaces. To help save valuable diesel fuel, auto shutdown is standard to help owners save fuel during non-working conditions. Operators can configure the idle time from 3 to 60 minutes. When enabled, the feature will shut down the excavator's engine when the preset idle time is met. This is particularly helpful in California where state regulations require idling for only 5 minutes for off-highway machines. Maximum digging reach (ground): 27 ft. 11 in. Maximum digging depth: 19 ft. 7 in. Maximum loading height: 23 ft. 2 in. Bucket digging force: 24,471 lbf. Arm digging force: 13,288 lbf.